Is that a whole potato on a stick? It could be. 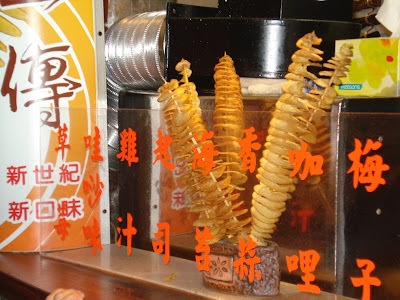 This was actually taken in Taiwan and was the only thing we saw on a stick that actually looked familiar and safe to eat--although we didn't test the waters.